Join us for our Fall Kick-Off Event! 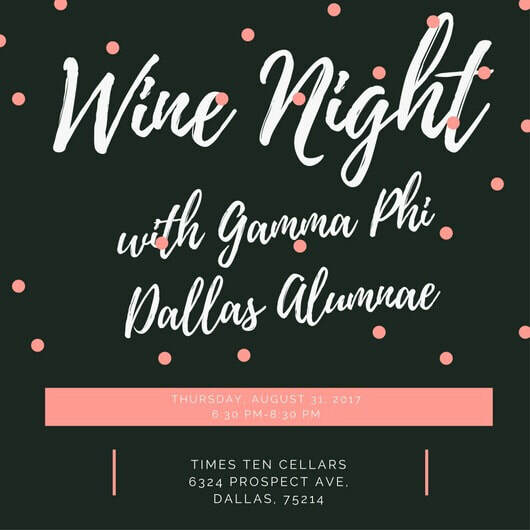 Come enjoy some delicious hors d'oeuvres and wine at Times Ten Cellars in the Lakewood area of Dallas. You won't want to miss out on this event, as you'll find out about all the new and exciting activities we have lined up this year! Event dates and basic information will still be posted via social media, but, the only place to RSVP and learn details will be Hobnob. So, click HERE to download the app. It takes less than 30 seconds.